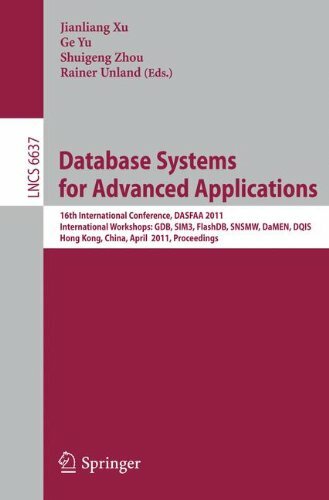 9783642202438 | Springer-Verlag New York Inc, June 2, 2011, cover price $129.00 | About this edition: This book constitutes the workshop proceedings of the 16th International Conference on Database Systems for Advanced Applications, DASFAA 2011, held in Hong Kong, China, in April 2011. 9783540237228 | Springer Verlag, January 15, 2005, cover price $169.00 | About this edition: This book constitutes the refereed joint proceedings of six internationl workshops held in conjunction with the 23rd International Conference on Conceptual Modeling, ER 2004, in Shanghai, China in November 2004. 9783540237235 | Springer-Verlag New York Inc, January 15, 2005, cover price $159.00 | About this edition: On behalf of the Organizing Committee, we would like to welcome you to the proccedings of the 23rd International Conference on Conceptual Modeling (ER 2004).